SPRINGFEST 2019 IS HERE!!! WELCOME TO THE NEW SEASON!!! ONLY $99 A MONTH WITH APPROVED CREDIT!!! You've got 500 cc of liquid-cooled Harley-Davidson® V-twin engine and attitude ready to be unleashed on your city. True Harley-Davidson Sound: Some motorcycles make noise. The Harley-Davidson Street 500 motorcycle makes sound. The deep, thumping Harley-Davidson rumble that doesn’t demand attention, but gets it anyway. We take the sound of every motorcycle we make very seriously. And tune it to perfection in our state-of-the-art sound facility in Wauwatosa, Wisconsin USA. When you hear the sound pouring out of the upswept muffler on the Street 500 model, you’ll have no doubt we took the time to get it right. This is the note that instantly says “Harley-Davidson”. There is no mistaking it. Real, authentic and instantly credible on the street. 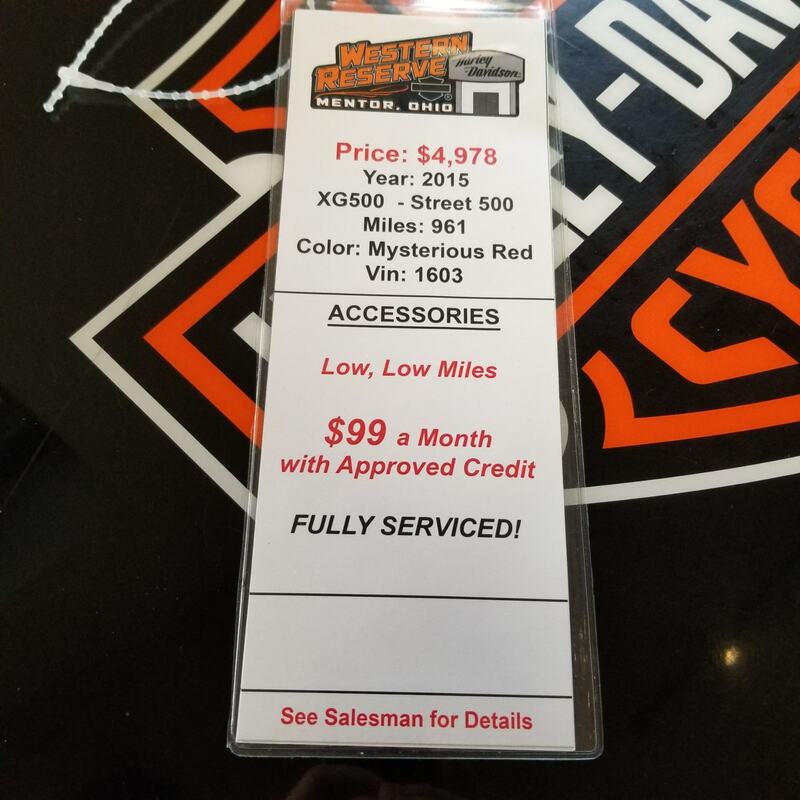 Premium Harley-Davidson Details: The pride that comes from owning a Harley-Davidson motorcycle doesn’t go up and down with the price of the machine. Because if we’re going to build a motorcycle, we build it right. We don’t cut corners. We don’t skimp. Check out the details on the Harley-Davidson Street 500 motorcycle if you have any question about that. 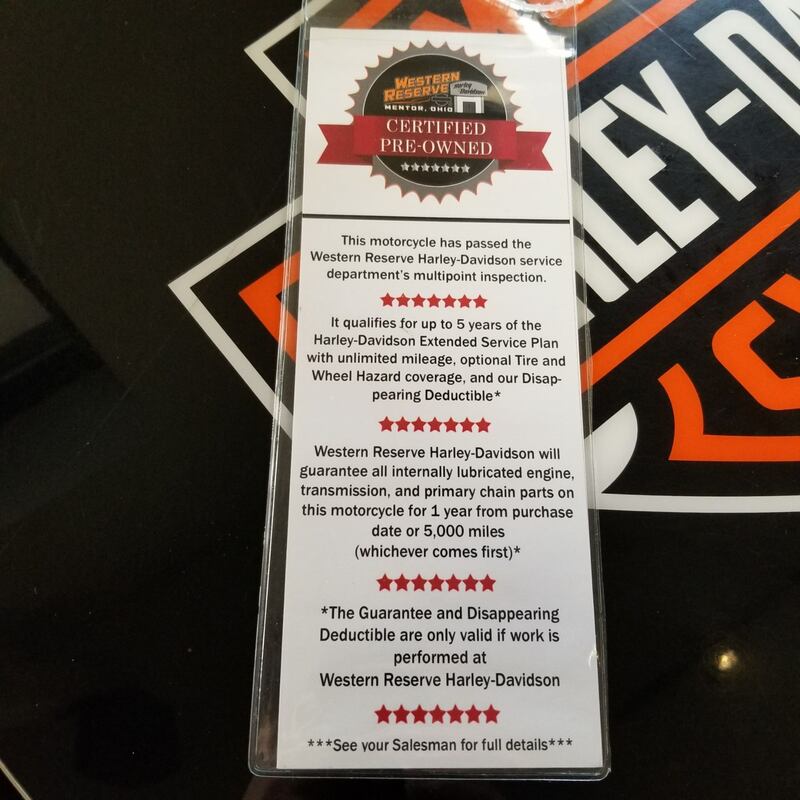 Yes, it’s an affordable motorcycle, but the kind of details and craftsmanship you expect from a Harley-Davidson are all there. Steel teardrop tank. Steel fenders. Premium paint. Chrome tank emblem. Painstaking fit and finish. The list goes on. Long story short, we never settle for “good enough”. Life is too short for that. Metal Teardrop Tank and Fenders: A Harley-Davidson fuel tank has to answer a higher calling than just holding gasoline. And Harley-Davidson fenders have to do more than keep what’s on the road off of you. This isn’t just about transportation. This is about a machine that stirs your soul. That’s why the teardrop fuel tank and fenders on the new Harley-Davidson Street 500 motorcycle are metal. This is about riding the real steel. You can’t build that with plastic. Café Inspired Speed Screen: Note the café inspired speed screen on the new Harley-Davidson Street 500 motorcycle. This is a look that was born in the outlaw street custom culture of the ‘70’s brought forward for modern times. Our roots run deep into the history of custom motorcycles. Sometimes that history rides again in a whole new way. 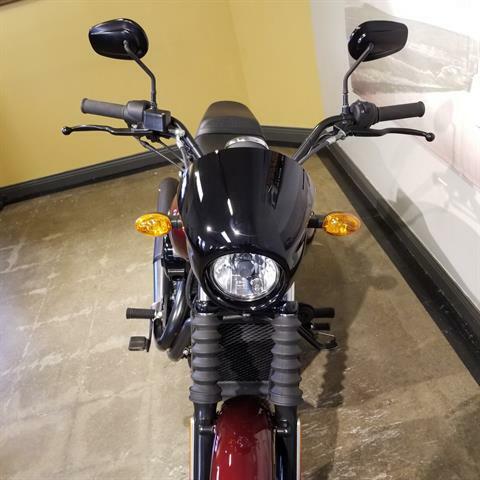 LED Taillight and Mini Bullet Turn Signals: A LED tail light and mini-bullet turn signals come standard on the new Harley-Davidson Street 500 motorcycle. Sleek, modern, custom touches like this are what put the distance between the Street 500 motorcycle and the common machines you see rolling up and down the boulevard. Belt Final Drive: Power on the new Harley-Davidson Street 500 motorcycle gets to the rear wheel via smooth, low-maintenance, rock-solid belt final drive. There’s no chain to tighten or oil. This technology has been proven over billions of miles by millions of riders. There’s no better way to get power to the pavement. Locking Gas Cap, Fork Lock and Ignition Lock: The new Harley-Davidson Street 500 motorcycle features a locking gas cap, a fork lock that prevents the front wheel from being turned when it’s engaged and an ignition lock. Premium Paint: The new Harley-Davidson Street™ 500 motorcycle gets the kind of paint that has made Harley-Davidson the benchmark for color on a motorcycle for as long as anyone can remember. You can expect deep, rich paint polished to a flawless finish. We take fanatical pride in the work we do in our paint shop. That’s one more reason you can take fanatical pride in the Street 500 when it’s parked on the curb at your address. Revolution X Engine Styling: Let your eye take a run over the new Harley-Davidson Street 500 motorcycle. This is an exercise in blacked-out, Harley-Davidson Dark Custom™ style and aggression. It starts with the finish on the all-new Revolution X engine. Notice the blacked-out heads and the black air cleaner cover. And the black cylinders highlighted by polished metal fins to bring out the aggressive lines of this iconic 60-degree V-twin. The Street 500 motorcycle is a dark take on pure, stripped-down street custom attitude. The Revolution X engine sets the stage. It just keeps getting darker from there. 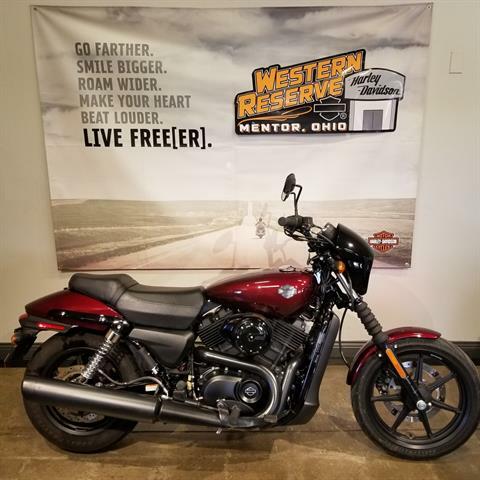 Black Two Into One Exhaust: You’re looking at the first all-black exhaust to roll out of a Harley-Davidson factory since the ‘70’s, when it debuted on the original Café Racer. Black pipes frame the blacked-out Revolution X V-twin engine and feed into an aggressive, upswept black muffler. There’s no chrome to polish here. Just raw, blacked-out custom attitude. Black Cast Aluminum Wheels: The new Harley-Davidson Street 500 motorcycle rolls through the city on black cast aluminum wheels. If you’re the type of rider who likes a dark, aggressive, no-nonsense look, these are the type of wheels you’ll like. Blacked-Out Front End: Stand in front of the new Harley-Davidson Street 500 motorcycle and give it the once over. You’ll notice a black café inspired speed screen, black fork gators and lowers. Even the pullback handlebars are black. All that black is there for a reason. This is the latest Harley-Davidson Dark Custom motorcycle. Stripped down, raw, aggressive. And featuring plenty of black. New Chrome Tank Medallion: The piece of chrome you’ll notice standing out on the new Harley-Davidson Street 500 motorcycle is the all new Harley-Davidson tank medallion. Where other manufacturers might put a decal, we put a three-dimensional steel badge. And then make it shine to match the pride that comes from riding a premium machine through the streets of your city. 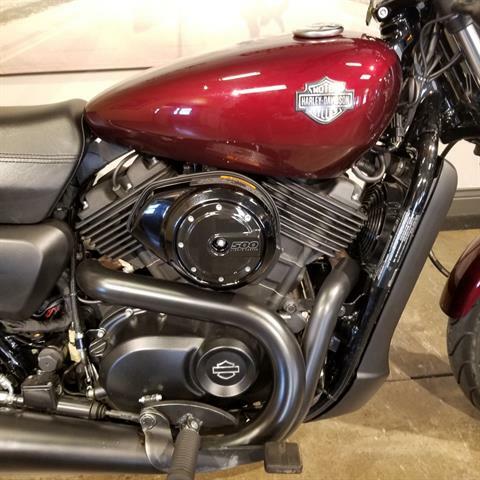 A Blank Canvas for Customizing: We didn’t design the new Harley-Davidson Street 500 motorcycle to be completely finished when it rolls out of the factory. We designed it to be the ultimate platform for your own custom style and attitude. 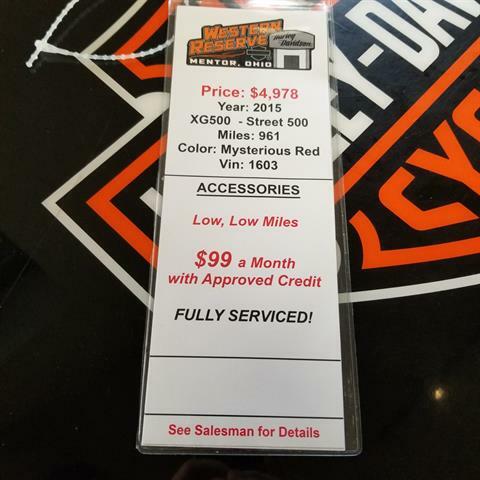 Your dealer can show you a whole range of custom accessories for adding your personal touch. Once you start, there’s no limit to how far you can go. 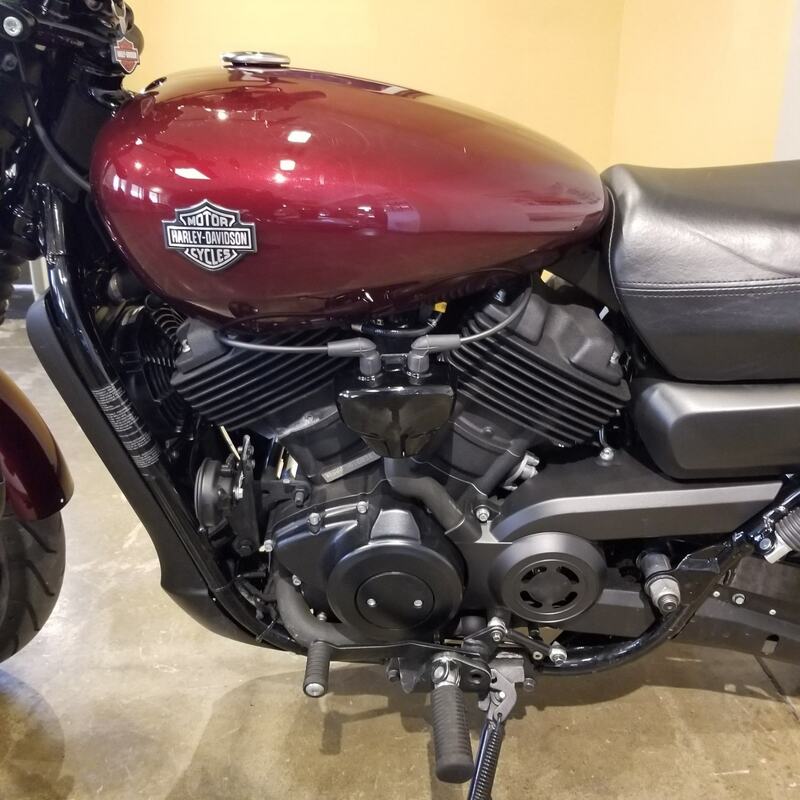 All-New Liquid-Cooled Revolution X™ Engine: The all-new liquid-cooled Revolution X engine that powers the Harley-Davidson Street™ 500 motorcycle is 494 cc of genuine Harley-Davidson® V-twin built to thrive in high temperatures and heavy traffic. Liquid-cooling means it maintains temperature and performance. Bring on the stop-and-go traffic. The Street 500 stays cool and ready to respond instantly to your throttle hand. And you can count on this: every cubic centimeter of the 494 cc Revolution X engine is pure Harley-Davidson. 60-degree cylinders. 4 valves per head. And plenty of low-end torque. You don’t have to be winding the RPMs up to five figures to feel the strength and character of this engine. It’s built to give you a soul-satisfying ride at the kind of RPMs you find yourself riding at on city streets. 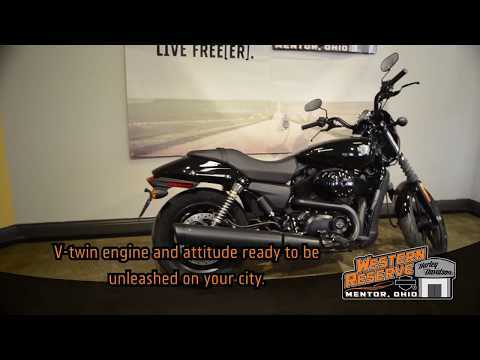 Six-Speed Transmission: The new Harley-Davidson Street 500 motorcycle gives you six gears to work with when you’re out tearing up the city streets. A smooth-shifting 6-speed transmission makes it easy to stay in the powerband when traffic is stop-and-go. And when the road opens up, sixth gear lets you drop the engine into a nice, easy groove for a long, comfortable ride at highway speeds. 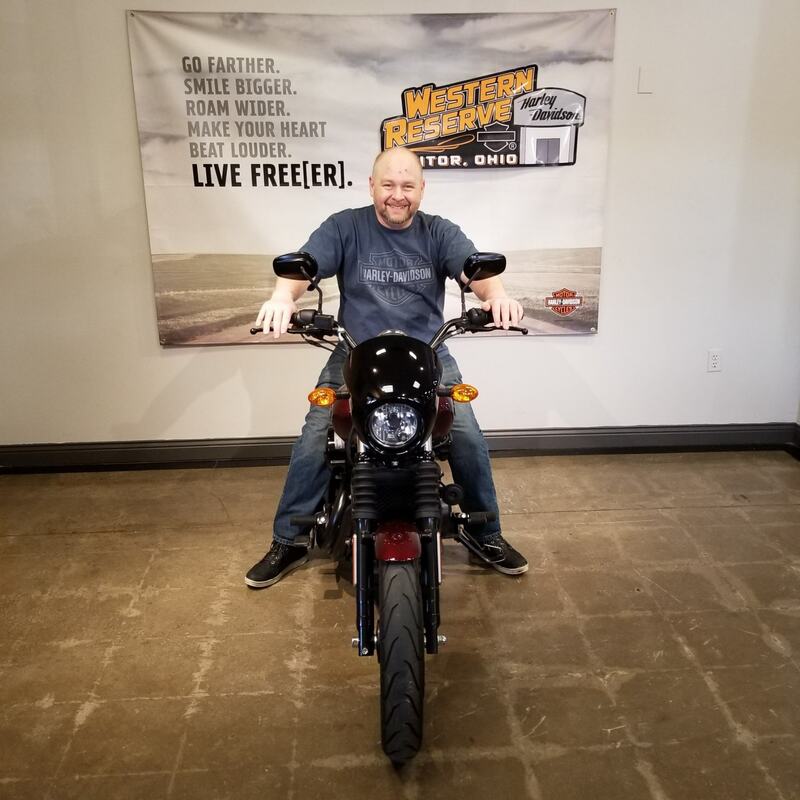 Light Lift Off Force: Low weight and a low center of gravity mean it doesn’t take a lot of muscle to tip the new Harley-Davidson Street 500 motorcycle up off its side stand. This bike is easy to handle. Even when it’s stopped. 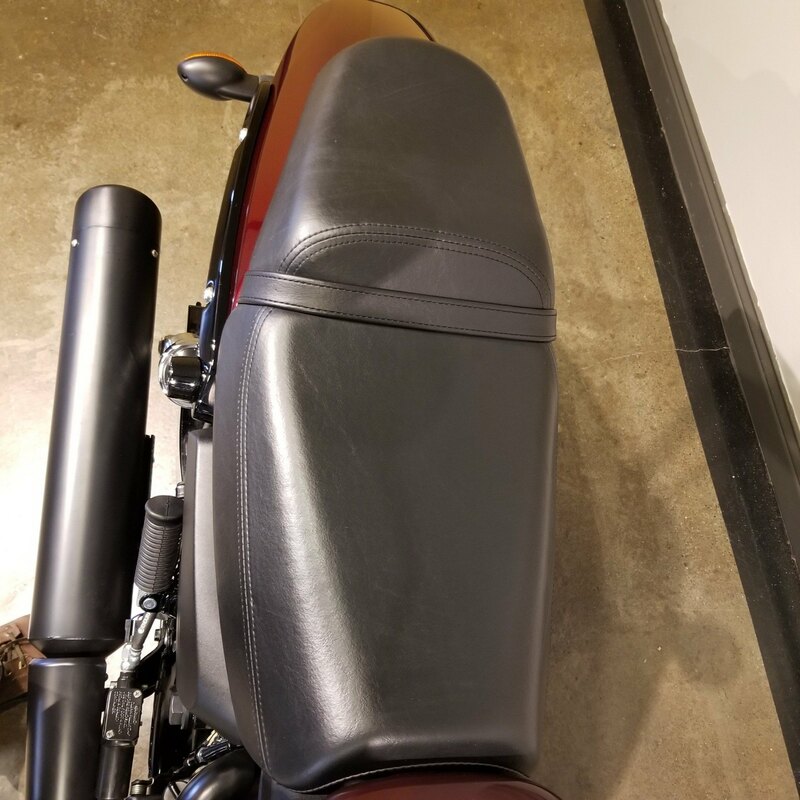 Low Seat Height 25.7 Inches: When you’re astride the new Harley-Davidson Street 500 motorcycle, the ground is within easy reach of your boot soles. The seat height is just 25.7 inches. And the frame and seat are narrow, which makes for an even easier reach. The advantages of a low seat also shine when the light turns green. It gives you a low center of gravity for confidence when you’re negotiating traffic, just rolling slow through a parking lot looking for a spot. Mid-Mount Controls: Slightly forward mid-mount foot controls on the new Harley-Davidson Street 500 motorcycle put you in a riding position that keeps you comfortable, but confident and ready to maneuver. The mid-mount controls also keep the ground in easy reach when it’s time to stop. In 110 years, we’ve tried every different riding position known to riders. This one works in the urban grid. Easy Lock-To-Lock Handlebar Sweep: Bring on any obstacle the city can throw in your path. Quick turns and moves come easy on the new Harley-Davidson Street 500 motorcycle. The pullback handlebar and light front end make sweeping the steering from lock to lock light and easy. 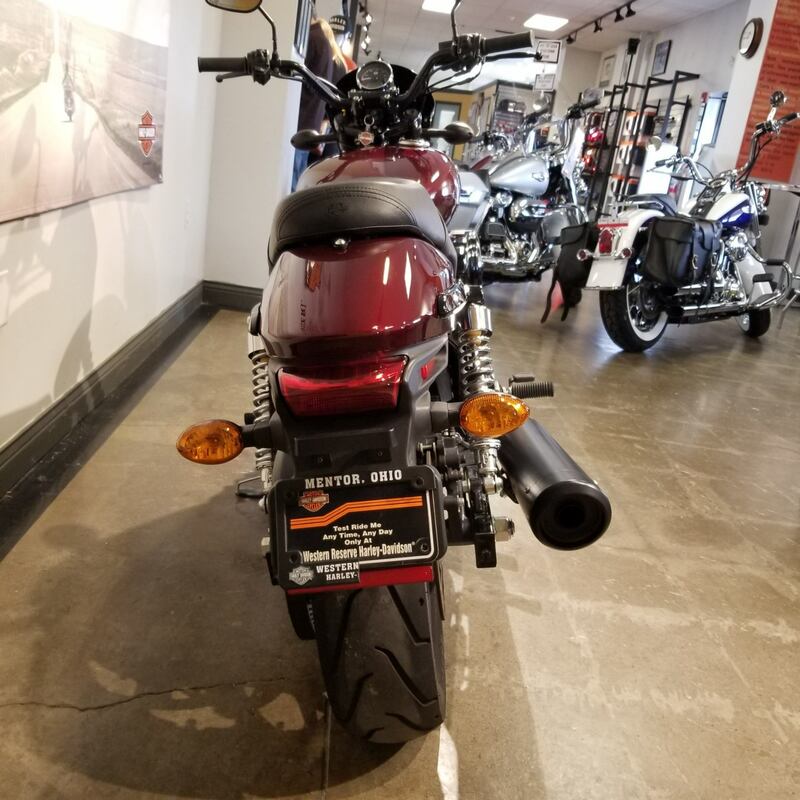 Low Speed Maneuverability: The rake and trail angles on the front end of the new Harley-Davidson Street 500 motorcycle are optimized for low speed maneuverability. So at low speeds, the ride is predictable. Single Disc Brakes with Dual Piston Caliper: Confidence in your brakes is the flip side of confidence in your engine. If you want a great ride, you need to have both. The Harley-Davidson Street 500 motorcycle gives you fast-stopping single disc brakes with dual piston calipers. 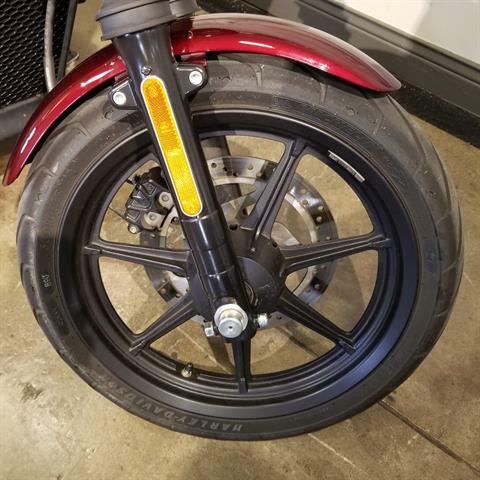 Skinny 17-Inch Front Wheel, 15-Inch Rear Wheel: Out front on the new Harley-Davidson Street 500 motorcycle you’ve got a skinny 17-inch wheel. It’s the ultimate combination of a skinny width for light handling and a large diameter for getting over and around rough urban infrastructure. It’s matched to a 15-inch wheel in the rear. We built this motorcycle for the city. And these wheels are rolling proof of that fact. 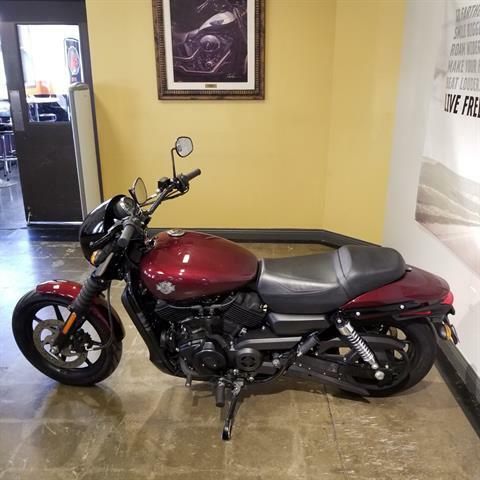 60.4-Inch Wheelbase: On tight streets, you need a motorcycle built to execute tight turns and nimble moves. With a wheelbase of just 60.4 inches, the Harley-Davidson Street 500 motorcycle is made for maneuvering in small spaces. The wheelbase also means the machine responds quickly to your inputs at higher speeds. Specially Tuned Shocks: Like everything else on the Harley-Davidson Street 500 motorcycle, the shocks are built to meet the demands of urban riding. They’re dialed in for the weight of the bike, the geometry of the frame, the position of the rider and rough, urban pavement. You get excellent handling and a smooth ride. 2-Up Seat with Passenger Footpegs: You might start out the evening riding solo, but there's always the chance you're not going to end it that way. A two-up seat with footpegs for your passenger means you can invite someone to go for a ride. Or say "Hop on" when someone asks. 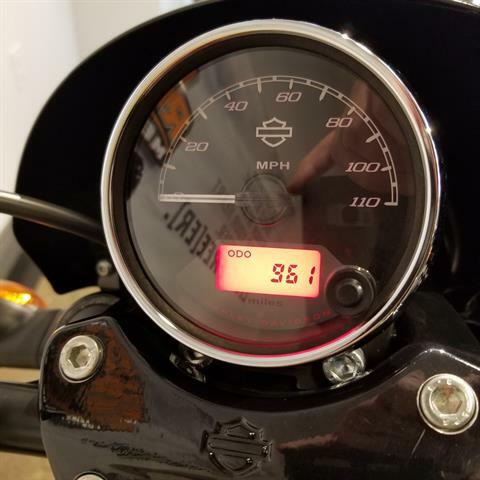 3.5-Inch Electronic Speedometer: The Harley-Davidson Street 500 motorcycle gives you a handlebar mounted, 3.5-inch electronic speedometer with odometer, trip meter and LED indicator lights. It’s all the information you need, in a clean tight package.